Templemoling cemetery is a very peaceful spiritual place. The scant remains of a hermitage associated with St Moling is surrounded by a high hedgerow. A low rectangular shape of a church can be made out amongst the rubble. 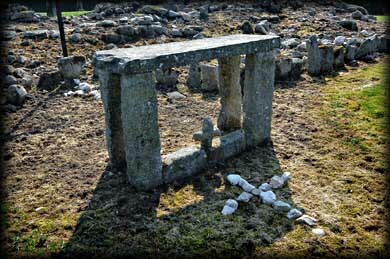 There is a modern altar with a cross made of quartz lying in front of it. Also present at the site is a large boulder said to show the footprint of St Finian, but maybe due to the light neither Deb or myself could make out this shape. 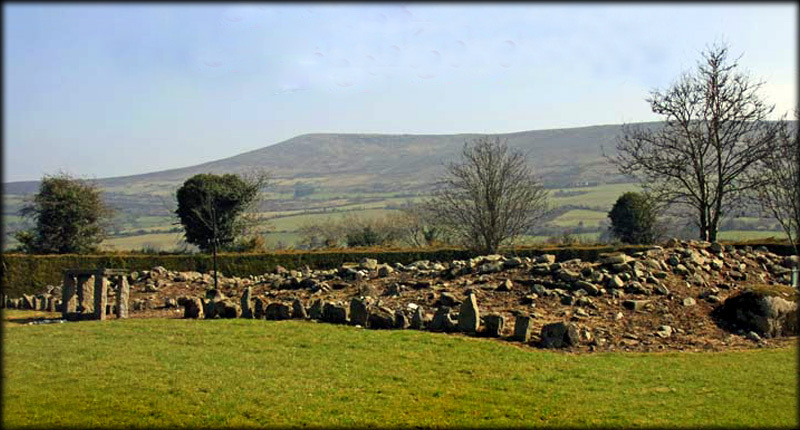 Although the physical remains are scant, Templemoling is well worth visiting as it is a deeply spiritual and peaceful place surrounded by gorgeous scenery. 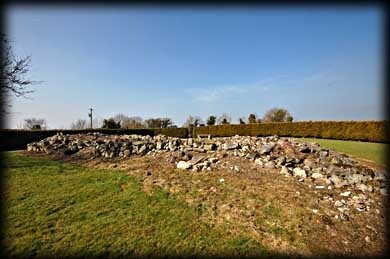 Situated: From Bagnelstown head east on the R724. At Carrig Beg turn right. then left at the T junction. Then first right. After the next crossroads turn left for Ballinree. 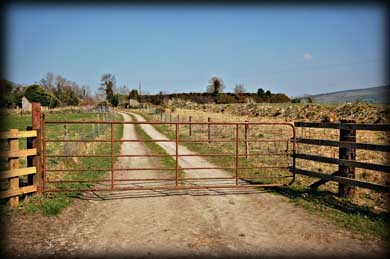 Go straight through Ballinree, the cemetery is sign posted on your left. Discovery Map 67: S 777 548. Last visit March 2011. You can see the hedgerow from the gate.